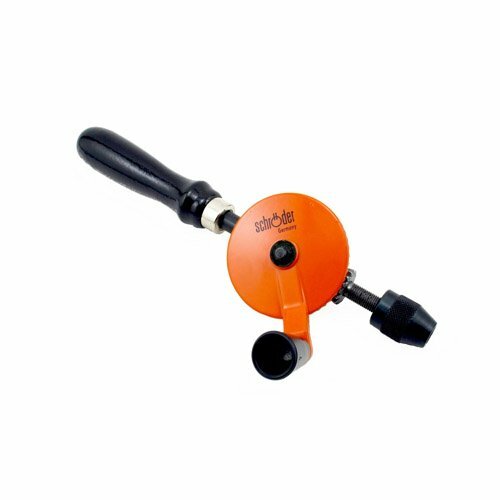 This hand drill provides control and safety when drilling small, critical holes especially in materials that are prone to splitting. A keyless chuck accepts drill shanks up to 1/4" (6.4mm). Accepts bits and rotary tools with shanks up to 8 mm or 5/16". Handle made of hard wood. Made in Germany. - The gear ratio in this sturdy, smooth-operating hand drill provides ample power and speed. - A keyless chuck accepts drill shanks up to 1/4" (6.4mm). - Overall length: 9-1/4" (235mm). If you have any questions about this product by Robert Larson, contact us by completing and submitting the form below. If you are looking for a specif part number, please include it with your message.